When it comes to external storage, solid state drives are ideal. Since they have no moving parts, they won't be damaged by being jostled about in a bag. Not to mention, they are significantly faster than mechanical hard disk drives too. The problem? Solid state drives can be rather pricey compared to hard drives when cost per gigabyte is considered. And so, some people still leverage HDDs when on the go. 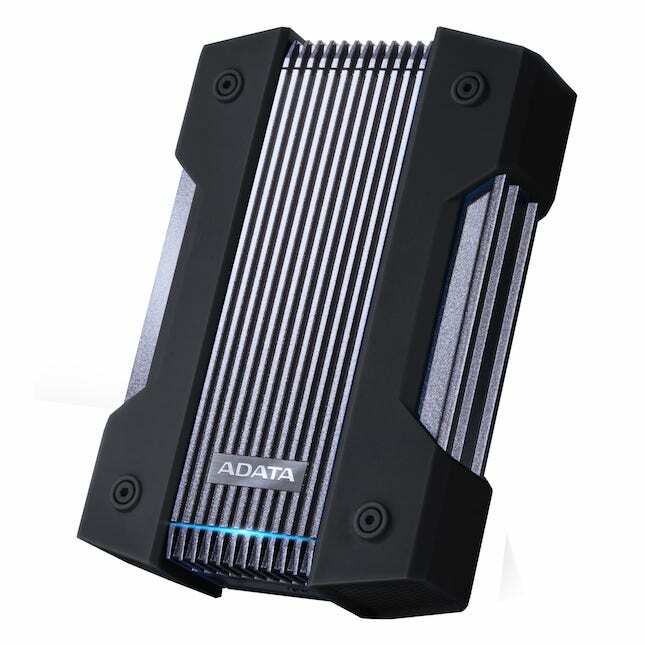 Looking to mitigate the potential dangers of using an external hard drive when out and about, ADATA today announces an extremely rugged model. Called "HD830," the aluminum body has an internal anti-shock coating and an external silicone casing. Yeah, this turns a typically slim 2.5-inch hard drive into a chunky monstrosity, but if protecting your data is important, the added thickness and heft could be worth it. Even the USB port is protected by a cover, although it is not USB-C sadly. Instead, it utilizes the awkwardly shaped micro USB 3.0. 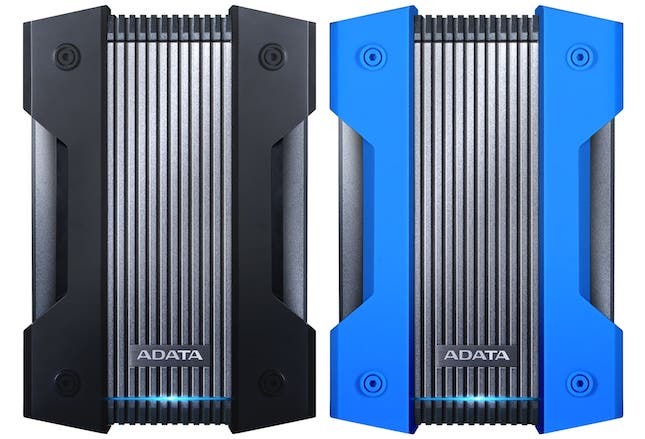 The drive exceeds IP68, and ADATA claims it can be submerged in 6.5 feet of water for up to two hours. "The HD830's tough aluminum exterior is not just capable of surviving nasty drops and blunt force, but can also handle 3000kg of downward pressure, roughly equivalent to the combined weight of fifty average-sized people. The HD830 also meets the U.S. Military’s MIL-STD-810G 516.6 standard and can survive falls from up to 1.22 meters. 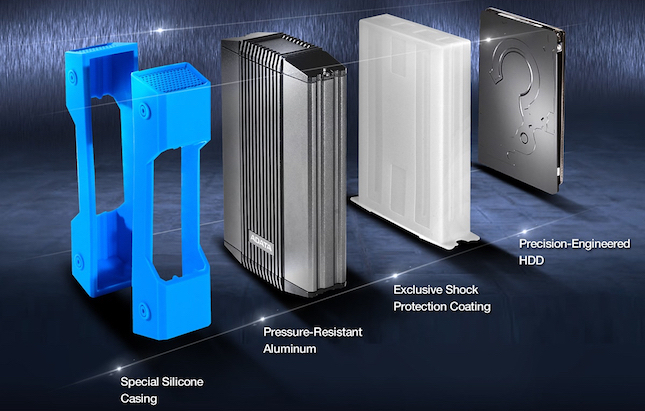 A three-layer construction provides complete protection inside and outside, including a tough outer silicone casing that comes in red or blue, shock-absorbing buffer, and cushioned mounting that firmly holds the drive in place," says ADATA. The company also says, "Lesser external drives continue to operate when dropped, potentially resulting in errors and bad sectors. The HD830 features shock sensors that stop drive activity when an impact is detected, such as when accidentally dropped. Users will know the sensors are activated when the LED indicator blinks in red. When the threat has passed the LED indicator will light up in blue and resume normal operation." ADATA shares the following specifications. Dimensions (L x W x H) 140 x 96.2 x 33mm / 5.5 x 3.8 x 1.3"
Pricing and availability aren't yet known, but what we do know is capacity. 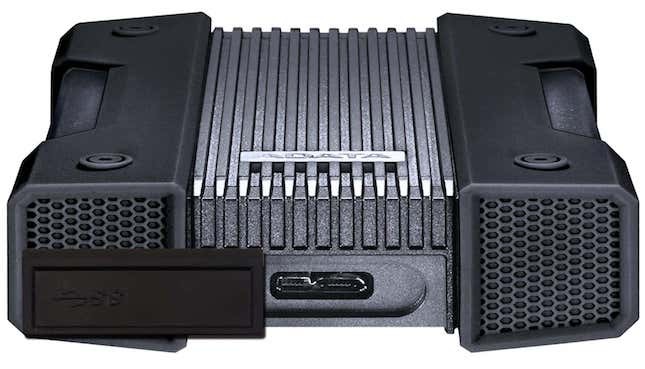 The HD830 will be offered in three storage sizes -- 2TB, 4TB, and 5TB. Also, while you hopefully shouldn't need it for such a durable drive, a three year warranty is included... just in case. After all, defects can impact all products -- even when they are built like a tank. What do you think of this ultra-rugged drive? Please tell me in the comments below.